Officials stressed that an identification of the body has not yet been made. Hania Aguilar, 13, was abducted in Lumberton on Nov. 5. 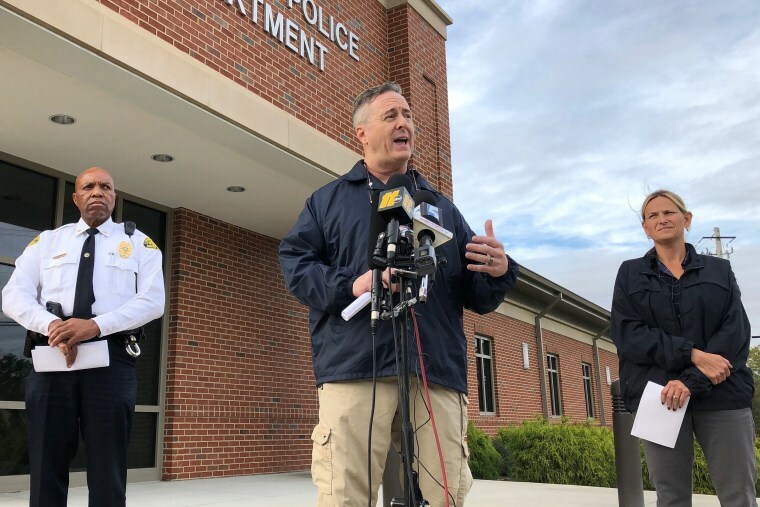 Investigators following leads in the search for a 13-year-old girl abducted outside her North Carolina home earlier this month said Tuesday they found a body, but cautioned that an identification has not been made. The FBI and Lumberton police said in a statement that as a precaution authorities have notified the family of missing 13-year-old Hania Aguilar. “Please continue to pray for Hania, her family, and each other as the investigation continues to find out who kidnapped Hania and hold them responsible," the FBI and Lumberton police said in the statement. Hania was abducted outside her home at the Rosewood Mobile Home Park in Lumberton on Nov. 5 just before 7 a.m., and witnesses reported hearing the girl scream and a man dressed in all black with a yellow bandana across his face force her into the family’s sport-utility vehicle and drive away, authorities have said. The stolen SUV was found on Nov. 8 off Quincey Road in Lumberton, the FBI has said. A reward of $25,000 has been offered for information leading to the location of the teen or information leading to the arrest and conviction of the person responsible for kidnapping her. The body was found in an area off Wire Grass Road in Robeson County, the county where Lumberton is located, at around 4:45 p.m. Tuesday, the FBI and police said. Law enforcement officials were following leads in the case when the discovery was made, according to the statement. "Out of an abundance of caution, investigators have notified Hania's family, but again no confirmation has been made of the identify of the body found," the statement read. The FBI said last week that law enforcement has followed close to 800 leads and conducted hundreds of interviews in the case. On Saturday, Lumberton police asked the public to be on the lookout for a pair of new Adidas sneakers believed to have been worn by Hania, and asked anyone who saw the discarded shoes or who was approached by someone seeking to sell them to contact authorities. Lumberton is a city of around 21,500 located around 30 miles south of Fayetteville. Hania is described as 5 feet tall and weighs about 126 pounds. She has black hair and brown eyes and was last seen wearing a blue shirt with flowers and blue jeans.